Just off Interstate 29, 100 miles north of Omaha, is Sioux City, Iowa. For me, it’s only been a stopping point on the way to Valentine, Neb., where we can stretch our legs, and fill up on hot dogs at Milwaukee Wiener House or pick up road trip goodies at Palmer Candy Co.
Perhaps for others, it’s seen as a good stopping point on the way to Sioux Falls, S.D. But what about staying a while? I started to wonder what more I could do there than eat. After scoping the city’s offering, I decided it makes a nice destination for a quick kid-free getaway (though the mom in me made note of what’s there in case we return with the kids… there’s some good stuff!). I only have 24 hours to spend there, so this list below of my Sioux City must-see stuff is not bound by that timeframe or money. 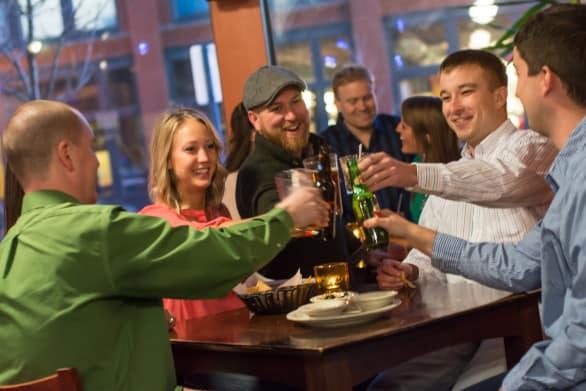 Check Out Fourth Street District – This is historic part of the city with brewpubs, breweries and restaurants, all things I love. One that stood out is Jackson Street Brewing. Dine at Main + Abbey – My lists always seem to include a lot of eating, so why hold back now? When I looked into the hotel we’d be staying at – Hard Rock Hotel & Casino Sioux City – I noticed they had a gastropub. Nice. It has a great beer list, poutine and locally sourced steaks. You can count on casinos in the Midwest having a restaurant that serves good steaks (it’s like a law or something). 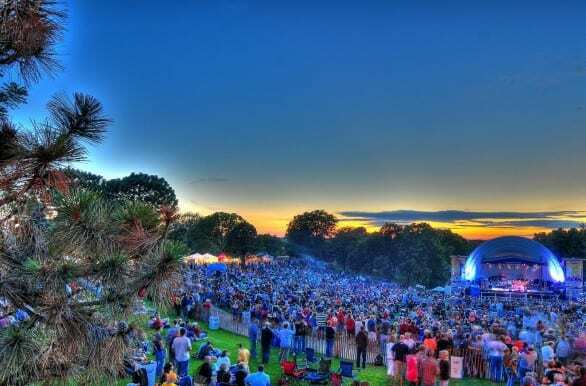 Go to Saturday in the Park – This annual music festival sponsored by the Hard Rock Hotel & Casino has been going strong for close to three decades and with powerhouse acts (Aretha Franklin and Foster the People were two acts from last year’s lineup). Did I mention this was FREE? I’d love to go without the kids just because an all-day music festival with kids sounds like I’d hear a lot more complaining from the kiddos them than the good music. However, they have a kids zone with live entertainment of their own, inflatables, carnival rides and a ton of other things to keep them occupied, so this sounds like a totally manageable festival with kiddos in tow. Try a Tavern – In my research, I found out that there’s a famous loose meat sandwich called the tavern that originated at Ye Olde Tavern back in the ‘20s (a couple years later, Maid-Rite followed suit). This is not to be confused with a sloppy joe, apparently. Anyway, there’ are a couple places to find a tavern in town, including a bar called Miles Inn, Tastee Inn and Out (a place that’s been called “iconic” on Reddit), and Gus’ Family Restaurant. The Garden Cafe’s tavern made the cut to represent Iowa in Food Network Magazine’s list “50 States, 50 Sandwiches” in 2012. 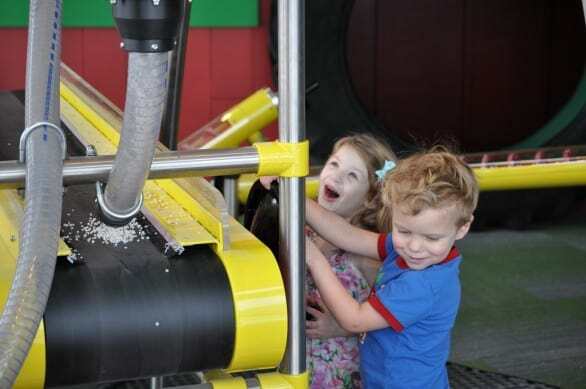 Launch Pad – This is the city’s brand new children’s museum – so new, it just opened this year. Sioux City Arts Center – This arts center consistently pops up on travelers’ posts about the city. First off, it’s FREE. But, there’s a room there that features all sorts of hands-on activities for children. My kids would love this. 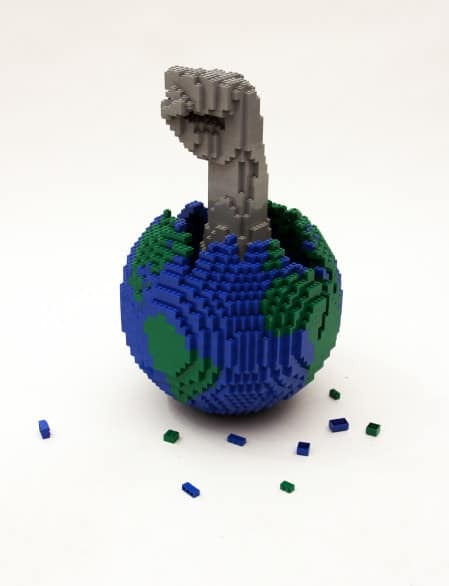 Plus, if you visit before May 8, 2016, you can see the temporary exhibition “The Art of the Brick®” featuring large-scale sculptures constructed out of LEGO bricks. The MIlwaukee Railroad Shops (AKA, the Railroad Museum) – Trains are always a hit with the kids, and this place sounds pretty interesting. If you time your trip right, you can go during a special event – such as Touch a Truck or Train Day, the Halloween event, or Santa’s Whistle Stop Tour at Christmas time. 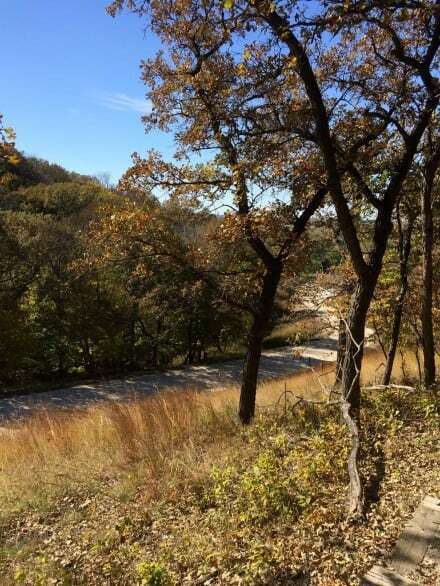 Dorothy Pecaut Nature Center – I’m always on the lookout for a good hike or place to explore while on vacation, and this place sounds like I’ve found Sioux City’s best. The nature center has a lot of hands-on ways for kids to explore the Loess Hills’ natural history. It’s located in Stone State Park with hiking trails (note to self: Avoid the trail with the bat house; find the trail that has the Playscape Area). Sioux City Lewis & Clark Interpretive Center & the Betty Strong Encounter Center – This looks like a good place to explore a little of our region’s history, and I hear it has hands-on exhibits, which is always good when visiting with kids. Try a Twin Bing – And we return back to eating. It’s what I do best on vacation. Twin Bing was created in 1923 Sioux City at Palmer Candy Co. 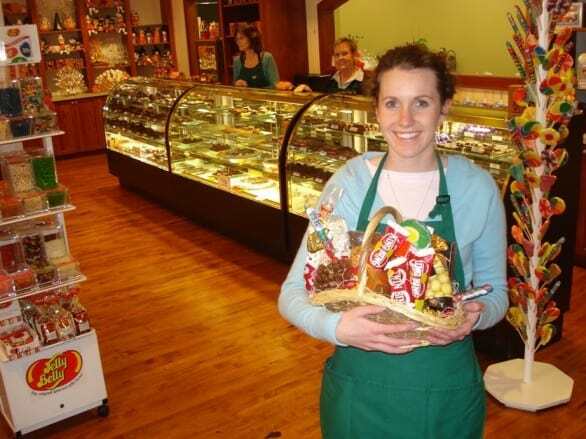 While I’ve been to this cool candy shop – you’ll be tempted to take a lot of pictures there – I haven’t tried a Twin Bing, which consists of cherry nougat covered in roasted peanuts and chocolate. I’ll give it a try, even though I hate fruity flavors added to my chocolate. Your turn: What’s missing from this list? 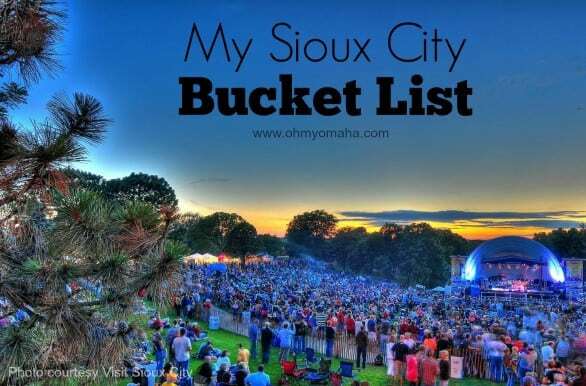 Share your favorite restaurants, bars, foods and things to do in Sioux City, Iowa? Never been? Then what on this list would you visit? Who doesn’t like to eat?! Vacation or not. Haha. Oh how my family loved those loose meat sandwiches when we lived in S.C. so very long ago. We had them with mustard and pickles on Sunday nights only while we circled out chairs in the living room and looked at our big radio while we listened to the Sunday shows. ( guess we were preparing for TV because this was before 1952. Sounds like a happy memory! Yep, these were the same kind, complete with mustard and pickles.